I went to visit Mr. Treadmill and my muscles just weren’t feeling it. That is until the t-mill started moving. I was feeling pretty good and I started to get some shin pain in both of my legs. I know, I’m scared about it to. But after 2K I had this dopey smile on my face that just wouldn’t go away and I was feeling really good. I even kicked it in to high gear and did some speed intervals and ended up doing a nice 7K instead of the 5K I planned on doing. Unfortunately, there is a downside. My ankles are not loving me at the moment. I definitely have some pain in there. During my last few workouts I have had pain in my knees, shins, ankles, and arches. I think it’s time for some new shoes. After a glorious 6 months with my New Balance 760’s, I’m ready to mingle with some new ones. 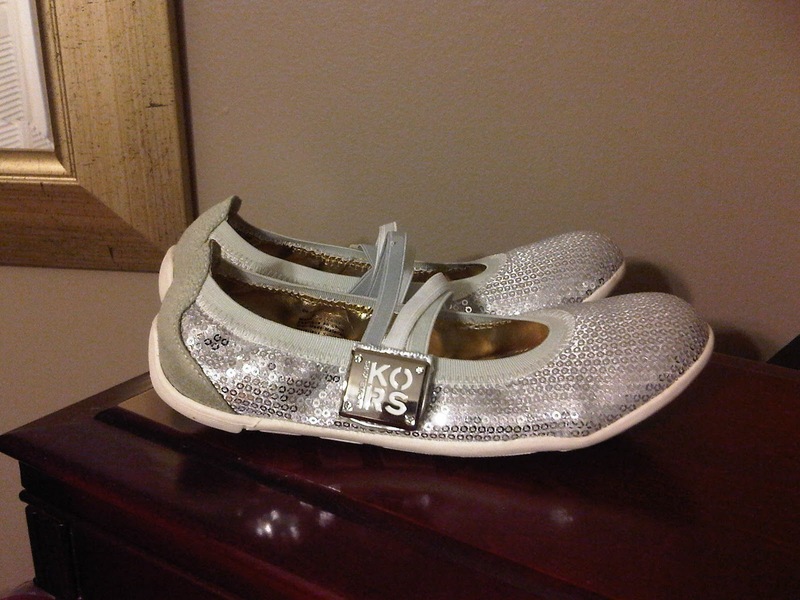 Even though I just bought some beautiful Michael Kors shoes from Winners on the weekend for ridiculously cheap prices. 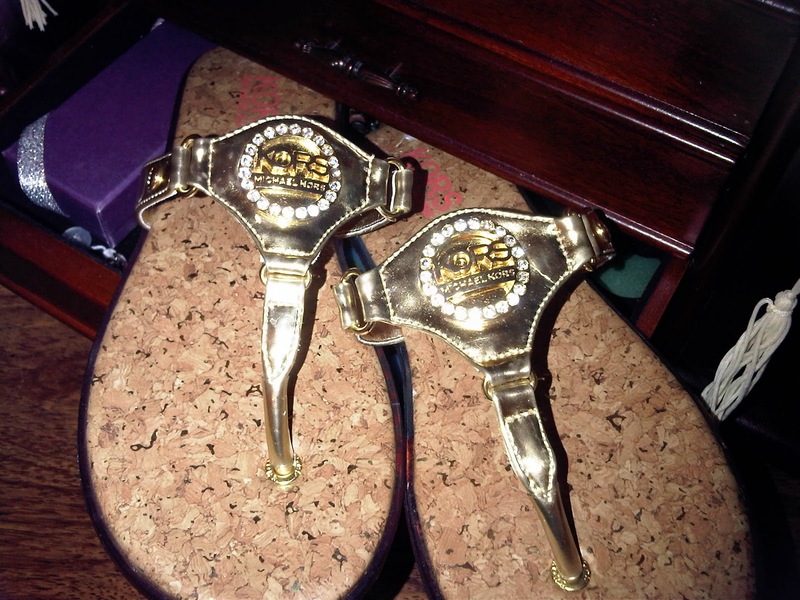 Really, what’s another pair?! And plus, the MKors weren’t meant for running! 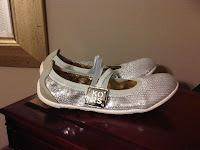 New running shoes, here I come! Wahooo! I will keep you posted on which ones I fall in love with! 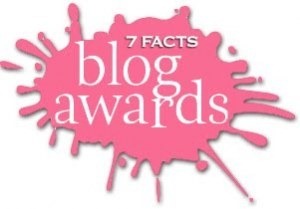 The lovely Mamarunsbarefoot has tagged me in the 7 Facts Blog Awards! Link the person who awarded you. Post 7 random facts about yourself. 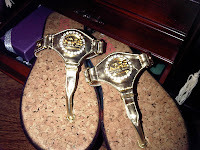 Pass the award on to 7 other bloggers. 1. I have a Specialized Honours Degree in Theatre from York University where I studied design, performing, and stage production. 3. I have one kidney that works at 25% and the other one works at 75%. Together they make one awesome kidney. 4. I LOVE coffee. The stronger the better. I’m pretty excited about the new Starbucks that is opening right around the corner from my office. Amazing! 5. When I was about 5 years old after gymnastics I would go to swimming lessons on a Saturday. I was in the Orange Level which was pretty basic. I failed it twice. I don’t think I will ever be a tri athlete. I’m OK with that. 6. When I was in grade 3 we had reading buddies with the grade eights. We went on a skating trip and my buddy told me that I wasn’t strong enough to push him on the ice. So, I obviously had to prove him wrong. I pushed him so hard that he lost control and went into a garbage can. How’s that for small and strong? 7. I LOVE Peanut Butter. I eat it by the tablespoon and right out of the jar. I’m classy like that. If one day I became allergic to PB, I will seriously cry a river. Yes Justin Timberlake I will do that for you! And you can still vote for me at the BEST HEALTH MAGAZINE’S BLOG AWARDS once a day HERE! 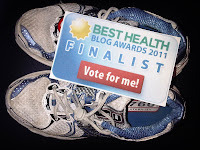 This entry was posted in 7 Facts Blog Awards, Best Health Blog Awards 2011, http://schemas.google.com/blogger/2008/kind#post, injuries, Michael Kors, New Balance, New Shoes, Stats of the Run, winners by Siobhan McCarthy. Bookmark the permalink.